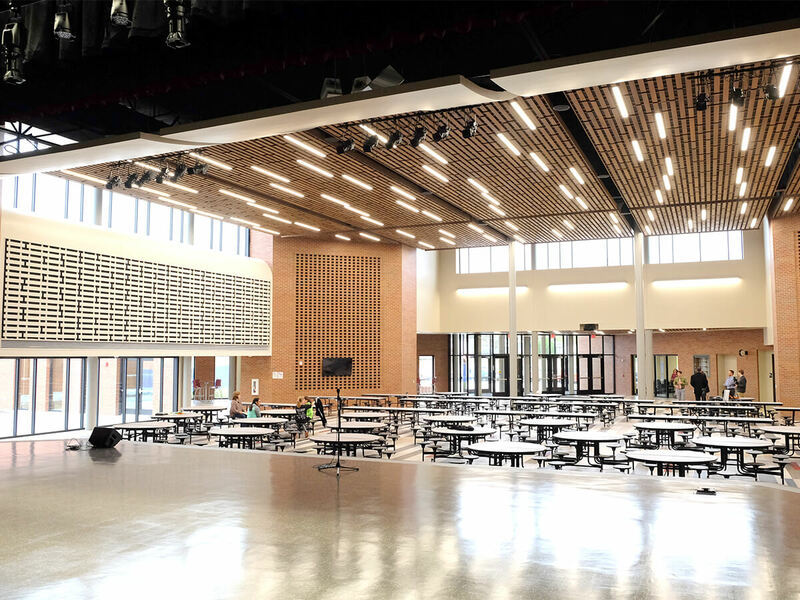 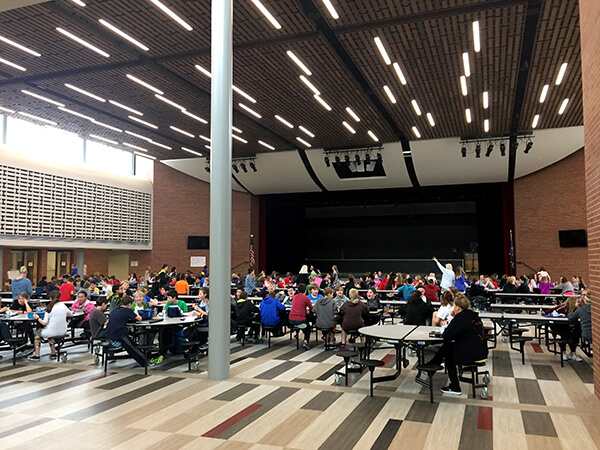 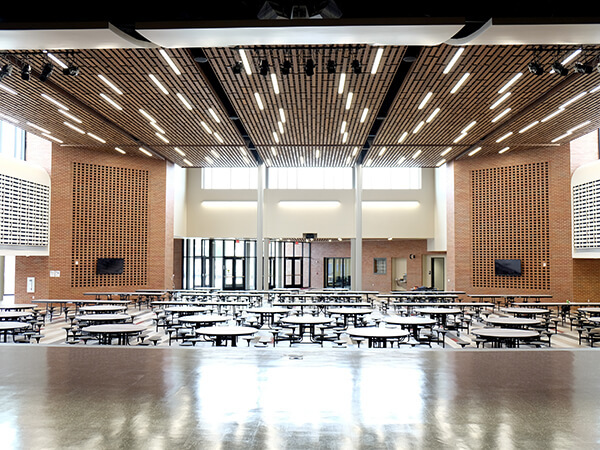 With enrollment projections exceeding capacity, Maize Middle School recently underwent a renovation and expansion, which included a new cafetorium. 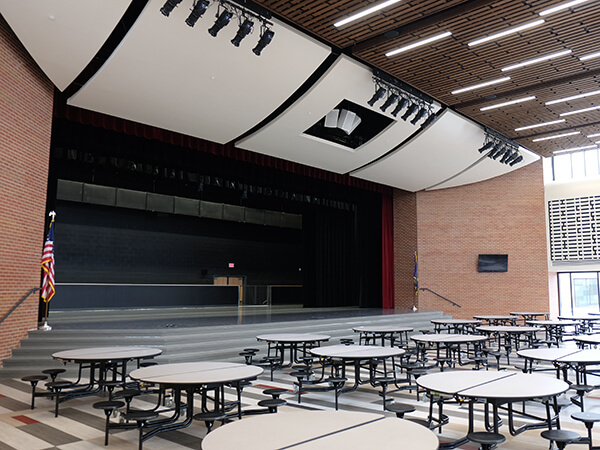 Digital signal processing, including an automatic mixing system. 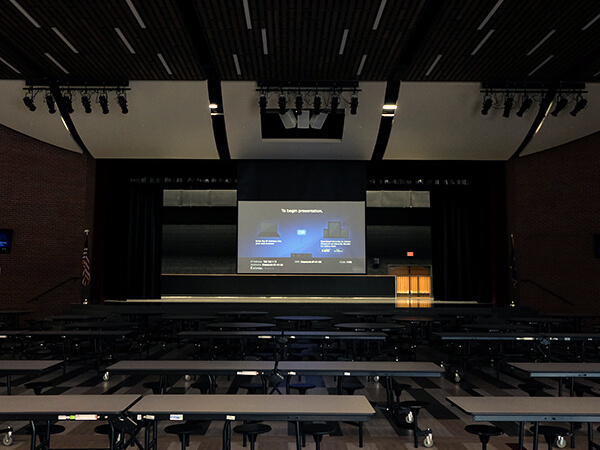 The sound reinforcement system includes a source loudspeaker cluster, as well as a distributed overhead system, to provide even coverage while maintaining directional realism from the stage. 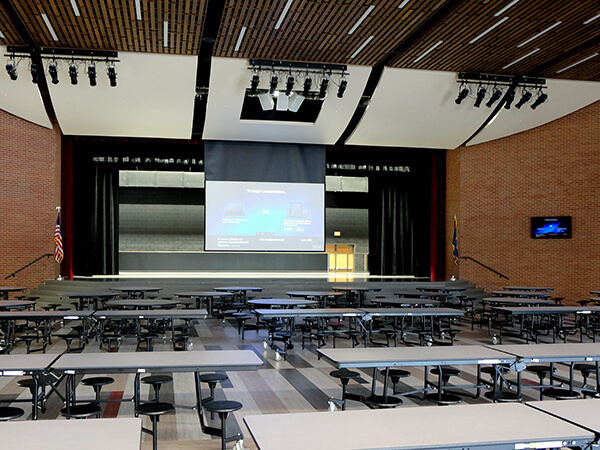 AVANT optimized the AV system and the room acoustics for both cafeteria and auditorium uses.